Horticulture plays a central role in creating, maintaining, and enhancing the landscapes we live in. Pretty, pollinator-friendly floral displays are the backdrop in our thriving tourist towns. The pristine golf courses and pitches we compete on, and the beautiful parks, gardens, and urban landscapes we relax in would not be possible without the skills and knowledge of Ireland’s trained horticulturists. Equally, a year-round sustainable supply of fruit, vegetables, and flowers is only achieved because Hort scientists and producers make it so. There’s a job for our hort graduates along every step of the way. Whether you find yourself in the food production or amenity sector, the horticulture industry is diverse and the career opportunities are wide-ranging: our graduates run nurseries producing trees and shrubs for garden centres, or for sale to the public. They maintain golf courses and pitches, and design, and landscape gardens and parks. We educate horticulturists to grow large field crops for supermarkets but also fruit and vegetables for small niche markets. Some of our graduates teach horticulture themselves, or use horticulture to heal in social or therapeutic settings. Some of Ireland’s most skilled craft gardeners and beekeepers are WIT Horticulture graduates. As a horticulturist you will have the skills and confidence to use your scientific knowledge to cultivate and propagate plants. You will be able to advise growers, gardeners, and consumers on the correct plant for a particular environment, growing region, or soil. You will be able to diagnose and treat pests and diseases and you can work to conserve and enhance our native species using your knowledge of biodiversity and habitat conservation. Some students have progressed to level 8 study and beyond and have become horticultural researchers aiming to enhance post-harvest technology, to understand and combat diseases, and to dissect and control plant growth and productivity. Importantly, you can do all this in an industry that continually boasts excellent results in surveys evaluating career satisfaction and happiness. 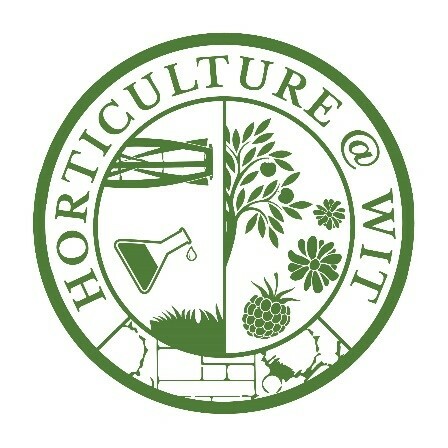 Horticulture is an industry that changes with the seasons, is never boring, and offers multiple income streams to innovative and creative graduates.